Wrap her finger in brilliance with this engagement ring setting from Ritani. 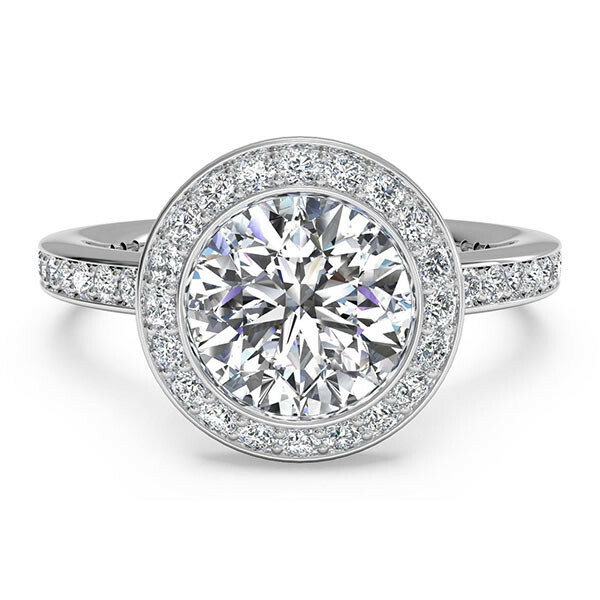 Crafted in 14kt white gold, a micropave bezel-set halo and diamond band lend a delicate air. The mounting is also available in 18kt white gold, yellow gold, rose gold or platinum finishes. This Ritani engagement setting glistens and gleams.